This past weekend ended up being quite interesting, as I continued with my full marathon training for October 19th in Toronto. 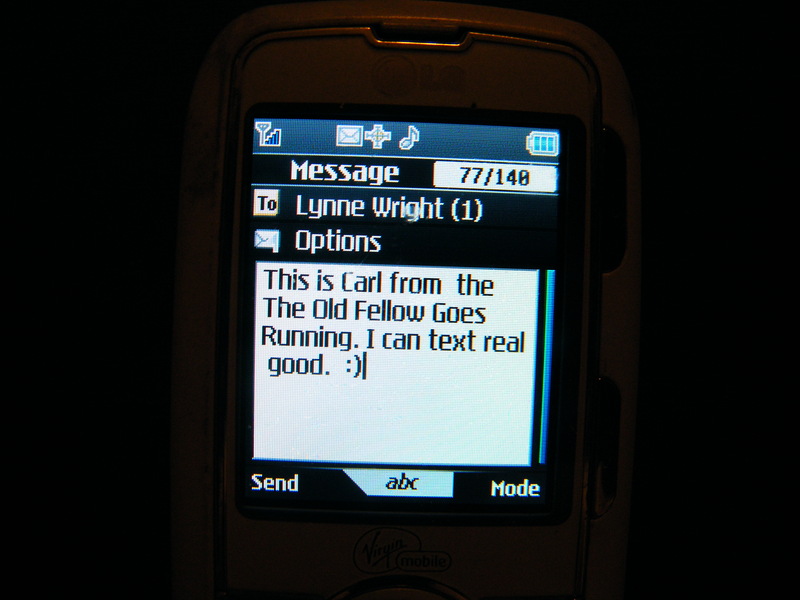 You see, my sweet wife, Lynne, got a “runner’s app” installed on her Smart Phone, and lent it to me so I could use it on my Sunday afternoon long run. Now, I know absolutely NOTHING about smartphones. I have my trusty old LG, a hand me down from my daughter. With this absolutely AMAZING device, I will send out into the cyber world, approximately 10 texts a year. And now that my watch is broken, I have been giving it double duty. I will turn it on, if I really need to know the time. It is all that I really felt I needed. Yet when my wife handed me her fancy phone with her runner’s app, I was overwhelmed with all kinds of emotions. Carrying that little device that could fit on the palm of my hand, could in fact make me no longer an outsider or outcast. You see, all my running friends have some kind of device with applications for running, every single one of them. Some have smart phones with runner apps, others some kind of pace watches, there are even ipods with some kind of runners applications. Could I handle this new found power? Would this little device change who I am? As I was touching and holding this little device in my hand, my dear wife could see that distinctive “deer in the headlights” look on my face. This was indeed a VERY terrifying moment for me. In an instant I would be travelling in a sense from the horse and buggy days, and straight into flying a rocket. I arrived at my starting point at the North Simcoe trail in Phelpston. (this is the trail that I have been doing the majority of my training for the marathon). There is ample parking, and the children’s playground equipment work wonderfully for stretching before and after the run. Did a short walk to limber up after the drive, spent some time stretching, and then pulled ‘The Phone” out of my pocket. It was only then, that I realized that my sweetheart of a wife had done something the last second to the phone, before she handed it back to me. She set the phone, so all I had to do was touch the word “START”. Knowing that this new technology we covered was WAY to much to absorb in one day, she probably KNEW I would mess up, if I did it again on my own from the beginning. Bless her heart! So with trembling hands, and butterflies in the stomach, I hovered my index finger over the word “START”, dropped it down, and touched the word “START”. AND IT STARTED! IT WORKED! I DID IT! And some lady spoke to me out of the phone that my training had started, which means I had better get running. Shoved the phone in my pocket, and started running, and very soon got lost in my thoughts, enjoying the beauty, enjoying the day, thankful to be alive. After a few minutes that lady spoke to me again. She really startled me, it was so unexpected, as she announced in a very monotone unemotive voice, “1 kilometer, 5 minutes (and so many seconds)”. As I gained my kilometers, I “sort of” got used to her talking to me. It was good to know how far I had travelled. My goal that day was 34 kilometers, and stretch out my previous two runs of 32 kilometers (Phelpston General Store to the Old Orchard Road, which I found Google Map on my home computer very accurate, as I compared the distances to this lady talking to me). Crossed the Old Orchard Road and kept running, and when the lady told me 17 kilometers, I turned around right there, and started my return trip back to Phelpston. I never really paid much attention to the elapsed times the lady was speaking to me, immediately after she gave the distances. I just keep to the same pace I always run. It was only at the 21 kilometer threshold, which is the half marathon mark, that I tuned my ears in to what the lady in the smart phone was telling me. It was 2 hours, 3 minutes (and a few seconds). I was happy with that, and just kept my same pace. The mileages were adding up. Had to push myself through a “wall”, at around the 28-30 kilometer mark (ironically 6 kilometers from the finish is where I encountered it on all my long runs, each and every time). Once I would cross that busy County Road 22, it was the “home stretch”, only 4 kilometers to go, and somewhere the legs get a renewed vigor. The lady announced 31, 32 , 33 kilometers, and it was only about 200 metres from the spot that I started, that I was prepared to hear the 34 kilometers. It was then I pulled the phone from my pocket for the very 1st time since starting, quickly scanned it over while running, I easily spotted where it said “STOP”. I WAS READY! At practically the very same spot where the lady announced “TRAINING BEGINS”, she announced in the same monotone, unemotive voice, “34 kilometers, 3 hours, 21 minutes (and a few seconds). I touched “STOP”. Nothing happened. I try again and the timer keeps running. I push harder, harder, harder, but eventually ease off for fear of shattering the glass. “Why won’t this stop for me?” Before, I felt so energised from an adrenaline rush as I hit the 34 kilometer mark. Now, all of a sudden I felt TOTALLY exhausted, and was on the verge of bursting into tears. “Maybe it has something to do with this satellite thing”. I take the phone, and while pushing “STOP”, I frantically wave it over my head to the east, to the south, to the west, to the north. I cry out, “COME ON PHONE, PLEASE STOP, PLEASE” A young mother quickly pulls her two small children off the nearby playground equipment, and for whatever reason, rushes them further away from me. I am defeated. Without doing any stretches whatsoever, I dejectedly walk to the car, get in, toss the phone onto the passenger seat and start driving. It does not take very long for my sullen mood to become even worse when the lady’s voice announces 35 kilometers. I have no idea how to turn this phone off, or even turn down the volume, so I grab a blanket and a jacket, which were easily within reach, and toss them on top of the phone. “Maybe this will keep her quiet”. But to no avail. I hear 36, 37, 38 , 39, 40, 41 kilometers. And while I am driving home, I cross the threshold of the distance of the full marathon, and completing it in an absolutely incredible time (even qualified for the Boston Marathon with many minutes to spare). There is no fist pumps, no happy dance, no euphoria. Nothing. I am completely void of emotion. I am sure, come October 19th, 2014, my emotions will be FAR different. Training has been challenging and hard, yet it has been encouraging to see progress, and I am REALLY looking forward to it all coming to fruition on that day. I have 3 objectives that I would absolutely love see accomplished through this October 19th marathon. 1. My 1st objective is to raise money and raise awareness for my charity Dekpor School Development Organization. Dekpor is a small village in the country of Ghana, Africa. The charity is all volunteer driven, and 100% of the money raised goes directly to the initiatives in this village in Africa. It is absolutely incredible how far our money goes in this country. Please do take the time to check out the link. 2. My 2nd objective is a very recent addition, and that is to see to it that another runner I have been mentoring reach her objective of completing her 1st half marathon on October 19th. She is another blogger herself, an excellent writer covering lots of topics, and as we have become blogging friends, somehow my blog has inspired her to run her 1st half marathon (still can’t figure that one out). We are now running partners, and although her training got a late start, after seeing the progress she has made, I have not a doubt this objective will be met. Just like when I was training with my niece Caron, who was just “OVER THE MOON” when she completed her 1st half marathon, it really warms my heart and gives me great joy to see OTHERS make goals for themselves and then have them complete those goals. My running and blogging friend’s blog is here, do check it out. So, here I am, continuing on my drive home. I’ve gone past the full marathon distance. And like the lady I keep hearing, I have no emotion. When I hear the announcement of 43 kilometers, I am resisting the urge to reach down and throw that phone out the window. But with only one more announcement to go, I garner up the strength within me to listen to her just one more time. After hearing 44 kilometers, I let out a sigh of relief, and finish the drive home. I park the car, take the phone, go into the house, and hand the phone to my sweetheart wife (being MORE than happy to return it), and announced “Honey, I can’t get this thing to shut off”. She takes the phone, and with one little swipe upwards of the word “STOP”, the lady’s voice comes on one last time, “TRAINING COMPLETED”! My final distances. The curvy orange line of 34 km is from green arrow down, and back up again. The driving part (with the lady chattering away) is the straight line. Thanks for lasting with me the entire distance. It’s been a “marathon of a blog”! Disclaimer: No phones were destroyed in the writing of this blog. It is an absolute honour to give you the shout out! Really looking forward to travelling the world through your blog. Great post Carl! I too loved the disclaimer (very funny!) And appreciate your shout out and kind words ! It’s been a great journey, training for my first half, and I’m thankful to have your support and encouragement! I can’t wait til race day! Well, I apologize, I thought I had written my comment…I must have thought my words as I read this. Haha..that happens more often than I would like. What a wonderful charity. Beautiful. This post drew me in, as I mentioned to you, being that I just got a smartphone myself maybe a year ago. Sighs, so much money and I suppose they do so much, if I could understand all that they do. I am not really one that understands a lot of buttons. I too, miss my LG..you could at least still throw those and they would hold up..LOL..(well you know what I mean, I hope)…. I so loved this post…cannot wait to read the rest. 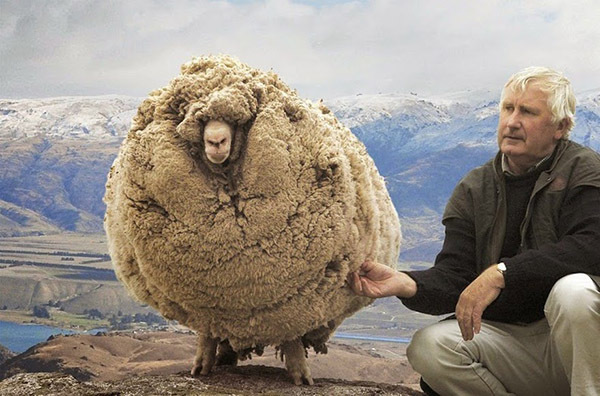 You are an inspiration Carl. Continued luck in your aspirations. I will be reading along. I have learned that those old LG phones were (are) still very much loved. Have dropped mine several times, and it just keeps going. Just like your comment CC. Have been “dropped out of the running” but such a touching and beautiful comment is going to keep me going these next couple of weeks. Hahaha..what an experience with smartphone and app!! I can relate your running experience with my buddy dive, Dutchie who is now on training for half marathon (his target after that will be marathon). It surprises me how many high tech thingies available nowadays! 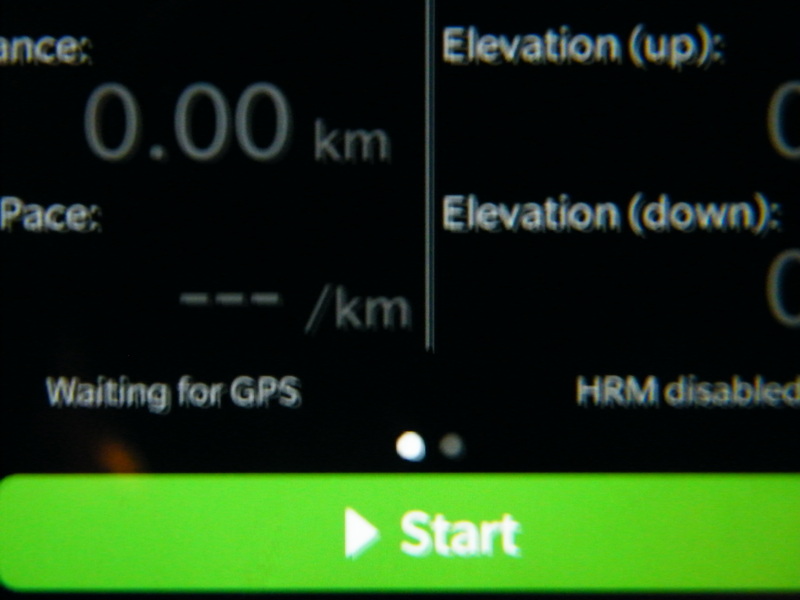 Dutchie used a running watch wtih GPS that can be connected to computer to log his running. He has app as well in his smartphone but in the end he’d prefer the watch as it is more reliable (that’s what he said :D)..maybe a running watch is better? would that be a choice? Yes, there really is a lot of high tech thingies out there Indah. I am a bit of a purist with running (just me and my thoughts) 🙂 This was about the only time I used this runners app mentioned in this blog post. I took the phone out another time, only to discover it needed charging. 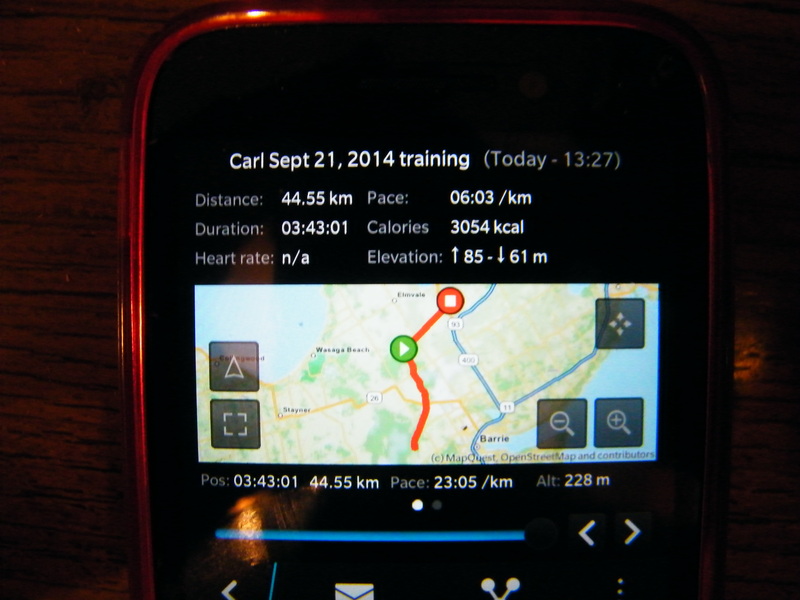 I have trained with several running partners, and it seems that if they have both a smartphone with a running app and a running watch, they will always use the running watch ahead of the smartphone. Not sure why, but it does make you think that the watch is better. I like the way your wife is compassionate and patient with you. That is the way women should be with their men. I try to be the same way with my boyfriend and he has told me that he values that about me. I am glad you have her. Nice blog. Annie, thank you for stopping by with such a touching and beautiful comment. Yes, I am very fortunate to have my wife………always very, very patient with me. You have a very fortunate boyfriend that he has you. Sounds like your blog name fits your character and personality…..gentle and kind. I could sense those very traits in this beautiful comment. Thanks again Annie, have a wonderful day!